AUSTIN, Texas, April 10, 2019 /PRNewswire/ -- Today at Zoholics Austin, the largest annual gathering of Zoho users, iovox, a global call tracking provider, unveiled its new mobile-first call tracking integration for Zoho CRM. The integration provides users with a two-way sync of calls, notes and tags between iovox and Zoho CRM. The service and related app from iovox enables Zoho CRM users to effortlessly share details of any inbound or outbound mobile call, including call duration, call notes, any tags that were affixed to the call, tasks, and for Android users, even a searchable transcription of their side of a voice call, directly into their Zoho CRM account. The iovox app provides major time savings to Zoho CRM users while ensuring all interactions, even those from mobile phones, are accurately captured. "Business owners and sales teams want to focus on growing their business, not on time-consuming administrative tasks, particularly when manual CRM data entry means that they are trying to recall their busy day by scrolling through an unlabeled call history," said Thibaut Behaghel, Director of Business Development at iovox. "With the iovox app, call details can be shared the moment a call ends, allowing Zoho CRM users to focus less on reporting and more on closing deals." In addition to eliminating time consuming manual data entry, the iovox app requires no technical set up and is easy to connect with Zoho CRM credentials. All that is needed is a smartphone and an internet connection to get started. The iovox app facilitates call tracking in the palm of your hand for everyone, regardless of whether or not they are using the Zoho CRM integration, with the same tagging, flagging, note taking, sharing, recording and transcription features available with the Zoho CRM enabled solution. "We're thrilled to have iovox as Gold Sponsors at Zoholics, and we're grateful for their commitment to investing in expanding the choices Zoho users have," said Raju Vegesna, Chief Evangelist, Zoho Corp. "We realize that not every call needs to be logged into CRM, but nearly every business call may require an action, a reminder, or notes associated with it. With the iovox app, our users have the choice of which of their calls they share with Zoho CRM and we think that is a fantastic feature, among many others." 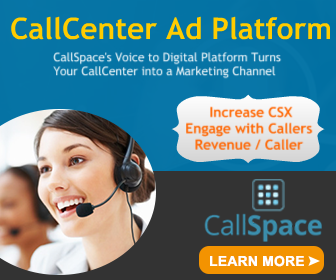 Historically, call tracking has primarily been used by marketing departments looking to do ttribution on inbound calls. The iovox integration with Zoho is part of a strategic initiative to make call tracking available to anyone that uses a mobile phone. "We are excited to bring the power of iovox call tracking to countless Zoho users worldwide to help them make better use of their time on and off the phone," said Ashley Nader, Product Manager at iovox. "Zoho has been a great partner to work with and we're looking forward to continuing to innovate our offerings for their rapidly growing customer base." The iovox app is now available in the Zoho Marketplace, with a 14-day risk free trial. No credit card required. After the 14-day trial, the Zoho CRM integration costs $5.00 per user per month. The iovox app works on iOS, Android and web, from anywhere in the world. Email connectmycrm@iovox.com for enterprise pricing or to learn more. We help companies and individuals increase their revenue and improve their productivity with unique call tracking solutions. We are unique to the industry for our ability to track inbound and outbound calls, particularly from mobile phones. We are global, with customers in more than 30 countries and offices in London, Paris, San Francisco, and Sydney. Download our free app for Android or iOS, and learn more about our other services at www.iovox.com. Follow us on LinkedIn, Twitter, Instagram, and Facebook. Zoho is the operating system for business—a single online platform capable of running an entire business. With 40+ apps in nearly every major business category, including sales, marketing, customer support, accounting and back office operations, and an array of productivity and collaboration tools, Zoho is one of the world's most prolific software companies. Zoho respects user privacy and does not have an ad-revenue model in any part of its business, including its free products. More than 45 million users around the world, across hundreds of thousands of companies, rely on Zoho every day to run their businesses, including Zoho itself. Zoho Corporation is privately held and profitable with more than 7,000 employees. Zoho is headquartered in Pleasanton, California, with international headquarters in Chennai, India. Additional offices are in Austin, Texas (U.S.); Renigunta, India; Tenkasi, India; Yokohama, Japan; Beijing, China; Singapore; Queretaro, Mexico; Byron Bay, Australia; Utrecht, The Netherlands; and Dubai, UAE. For more information, please visit www.zoho.com.